James Green “Black” is a part of our 200-hour Yoga Teacher Training (YTT) at Pennsylvania State Correctional Institute - Phoenix. He started “The Least of These Ministries,” and has been the President of the Culture Affairs Committee for four years during his time at the Graterford Prison. James wants to share his inspirations and awaken the “Light” in everyone by sharing his story and connecting with our communities. 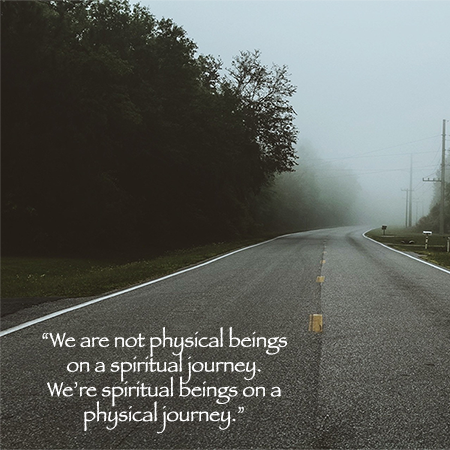 This is James’ favorite quote, connecting his ideas about searching for a light within and using experiences to enlighten that journey. The Inner Light that guides, sustains, and enlightens my whole being. What do you hope to inspire in others? I’d desire to help awaken the same “Light” that exists within us All by sharing my story. What would you like to share with the larger community? The Hope that all is never lost and that redemption lies deep within us ALL! What would you like to share with younger folks? The Wisdom, Knowledge, and Understanding that I’ve gathered from the hardships, drug use, street life that I had to journey through in order to find oneself. How has community shown up for you? How have you shown up for your community? By searching the Truth within and sharing such findings with my community. What if anything has YTT added to your sense of community? YTT had found me, in a hellish place, and has enhanced all that I’ve learned from a broader perspective. Learn more about our Yoga Teacher Training on StartSomeGood. If you feel connected, or compelled, to support the individuals as they become certified yoga teachers, please make a pledge! A ripple effect of transformation happens when we realize were all connected and can share in healing. VISIT OUR CROWDFUNDING PAGE ON STARTSOMEGOOD. ﻿HELP US RAISE $10,000 TO COVER THE BAREBONES COST OF YTT. Thank you! !